GrailQuest Industries is dedicated to seeking better ways to serve the needs of people while minimizing our impact on the environment and other species with whom we share this planet. Although we have strong opinions on the subjects of politics and religion, we aim to focus on good things that are being done, or could be done, rather than finding fault with particular political or religious philosophies. However, sometimes you just can't be silent in the face of people and institutions promoting hateful and malicious practices. By way of explanation, our logo borrows from the legend of the King Arthur and the quest for the Holy Grail. 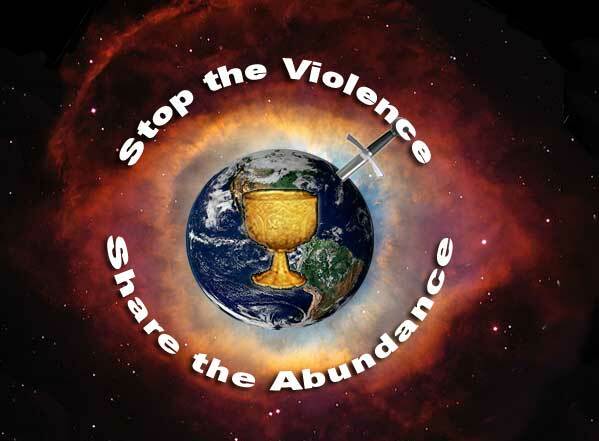 The sword in the Earth represents the violence that needs to be removed, pulled from the stone as it were, and the chalice, or grail, represents the abundance that the world can share once resources are turned from warfare to more harmonious and ecologically sound activities. The backdrop is the "Eye of God" nebula and a NASA Hubble Deep Field view of distant galaxies, suggesting we take a larger view of the Universe and our place in it.